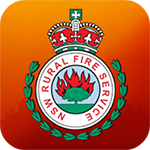 The Fires Near Me NSW smartphone application provides information about bush fires across NSW. The Fires Near Me NSW application is free. If you’re travelling, download the Fires Near Me Australia application. It provides information about bush fires, using information from participating fire and emergency services across the country. What is the difference between Fires Near Me NSW and Fires Near Me Australia? Fires Near Me NSW shows incidents in NSW only. It also has the feature of push notifications for total fire bans and other important information. Fires Near Me Australia shows incidents from participating fire and emergency services across the country, and is ideal if you’re travelling. If the Fires Near Me NSW application isn’t showing any incidents, it’s likely you have an outdated version of the application installed. Firstly, delete the old application from your device. Then, download the correct version of the application for your device’s operating system. How do I know which version of Fires Near Me I have installed? If your application has the icon below, you need to delete the application from your device. For iOS devices, you need to have iOS 10 or later installed. If you have an earlier version, you need to update your device. For Android devices, you need to have Android 4.1 or later installed. If you have an earlier version, you need to update your device. If you’re unable to update your device, you can access the same information through the Fires Near Me page on this website. You can create a bookmark or shortcut to your device’s home screen to get the same information as the application. Fires Near Me NSW can send you push notifications such as total fire bans and other important information. You do not need to sign up to receive these notifications. Make sure you have push notifications enabled for the application on your device. We support a number of other smartphone applications which can be helpful during bush fires and other emergency incidents. A smartphone application to help you identify your location when calling Triple Zero for assistance during an emergency. We use social media to engage with the community and to provide information on incidents and activities attended by our volunteers. If you haven't found the answer you're after, contact us using the form below.